This blog is a personal blog written and edited by me (Audrey Ong). For questions about this blog, please contact missaudreyallure@gmail.com. The only photos that belong to me are my outfit shots or any personal images that you may see in my personal posts. Other photos are often credited from their sources, usually taken from weheartit, Pinterest, and last.fm. If, however, one of the photos belong to you and you want to specifically be credited and/or you want it removed, please feel free to contact me. This blog accepts forms of cash advertising, sponsorship, paid insertions or other forms of compensation. The views and opinions expressed on this blog are purely mine. In no way, does the compensation or product, influence my thoughts & opinions on reviews or sponsored posts. That content, advertising space or post will be clearly identified as paid or sponsored content. Any product claim, statistic, quote or other representation about a product or service should be verified with the manufacturer, provider or party in question. 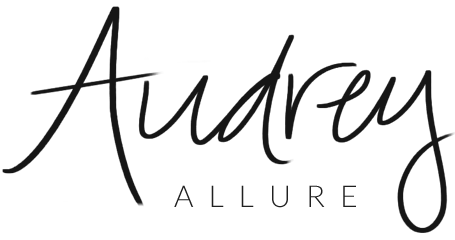 Audrey Allure does not require registration to use the site. However, we collect personal information when you post a comment or enter a giveaway or contest. That information may include: name or alias, email address, IP address, and in the case of contest winners, mailing address. If you subscribe to Audrey Allure by email, your email address will also be recorded by the Feedburner service. We never sell your personal information to third parties.